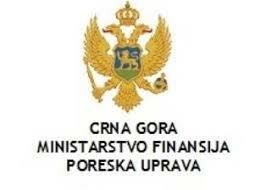 Podgorica, (MINA-BUSINESS) – The gross revenues collected by the Tax Administration amounted to €92.91 million in October, up 15 percent year-on-year. The revenues exceeded the plan for this period by ten percent. The revenues coming from the value added tax, which amounted to €24.3 million, exceeded both planned and last year’s revenues by 30 percent. According to the tax authority, a total of 48.6 million has been collected in mandatory social insurance, up 15 percent year-on-year and nine percent more than planned. Other tax revenues collected in this period include personal income tax amounting to €13.28 million, concession fees amounting to €2.54 million, and corporate profit tax amounting to €1.15 million. “The combined gross revenues collected in the first nine months amounted to €874.1 million, up 12 percent year-on-year, and seven percent more than planned,” the Tax Administration says.